I had stayed at The Royal Suite Room or they called it with Bumi, the most spacious room in their Ubud property. The view of the suite is tropical Ubud rainforest where you can re-energize your mind with the sound of Earth. The charm of ethnic touch of Javanese's Joglo and Papuan style of interior accessories makes this accommodation has a remote ambiance, but in fact, you can rent a motorcycle or bicycle to enjoy another side of Ubud. The direction is also easy, from Ubud center therebetween Ubud Palaces, there is a Jl. Suweta, just go up until you find sort of field that usually being used by children to play football and turn left, follow the line and the resort will be on your left. I had spent the day to relax and enjoy the pool, there will be a cozy gazebo for you to do nothing and enjoy the feel, you can read a book or blow by the wind until the sun goes down and you can go back to your room. 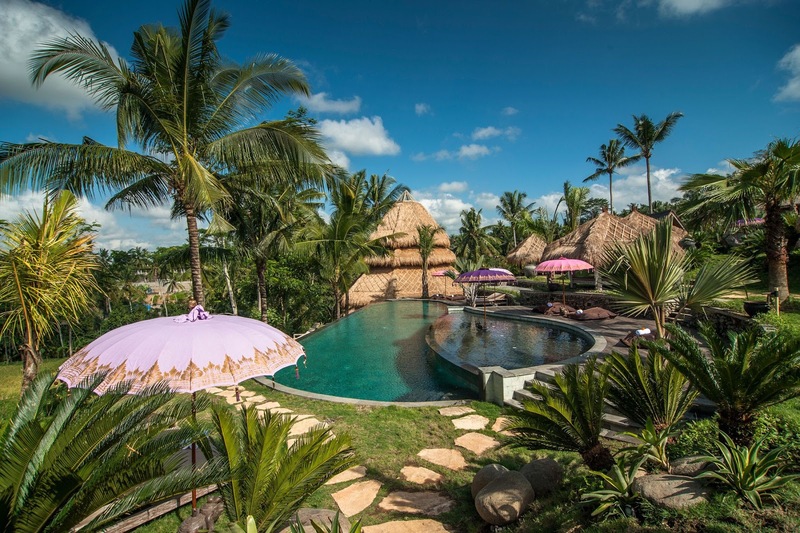 RELAX SWIM RELAX SWIM REPEAT, that's why I loved being here in Ubud and choose to have stayed here at Blue Karma Resort Ubud! There are a good number of sites selling diamond jewelry online and you can come across a huge number of choices, giving you exactly what you may be looking for.